I generally lay out Amelia's clothes the night before or first thing in the morning, and she is supposed to get dressed. I guess she didn't like what was out today, this is what she wore instead. 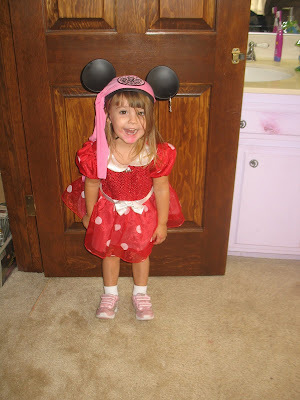 Minnie costume that fit her last Halloween, and pirate minnie ears.